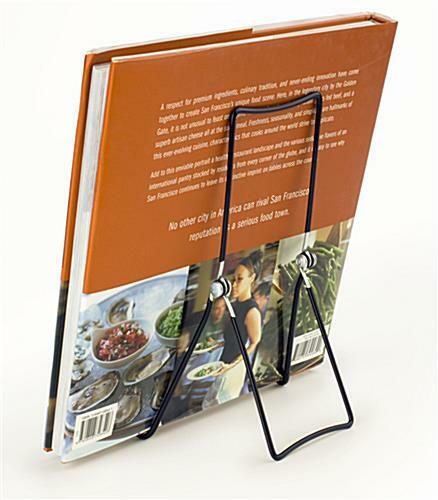 This foldable easel is great for propping up cookbooks, plaques, china, or framed art. This countertop riser features three sections that can all be adjusted to create an optimal viewing and displaying angle. 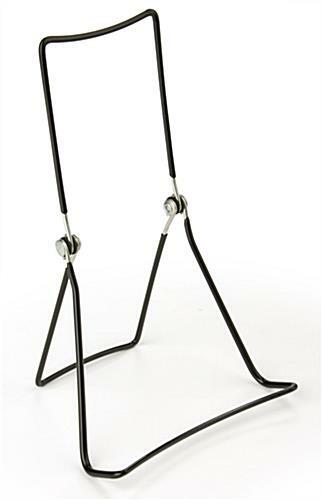 This tabletop stand, foldable easel features a triple wire design to help support slightly larger objects. The coated wire design also helps to minimize movement and marking on counters. 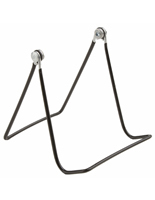 This tabletop holder is a fantastic display easel for use in museums, galleries, bookstores and gift shops. This riser was designed to maximize product exposure while minimizing the overall structural interference. 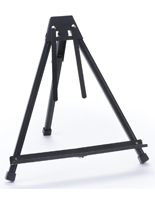 Each foldable easel ships completely assembled. When not in use simply fold the three sections together for a flat, compact fixture that can be stored away in a drawer. 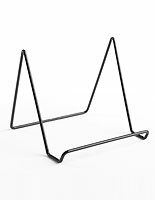 This foldable easel is made out of steel wire covered with heavy duty vinyl to protect your merchandise against scratches. The black coloring is neutral and doesn't distract the eye from the item on exhibit. 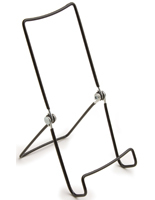 Each adjustable holder, display easel provides the means to show products or memorabilia inside a display case, tower or gondola. 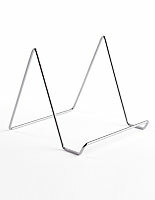 In addition this foldable easel, also known as a wire riser, can be used to draw attention to new book releases at bookstores or exclusive china patterns at high end stores. The possibilities are practically endless. 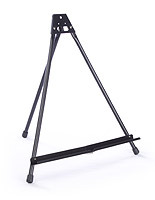 Buy this foldable easel to accessorize your showroom in an affordable way! We're happy to hear that your frame is doing the job, Terri! We agree glass can be a tough option for busy areas. Thanks for sharing your thoughts with us! Thank you for the excellent review, Brad! 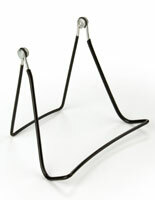 We're glad that our wire easels were exactly what you needed at the right price. 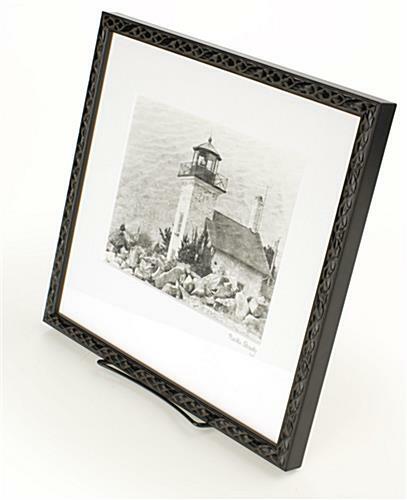 GREAT easels for small (12"x12") framed art works. We're happy to hear it, Randall! Thanks for the great review! Fast delivery! Packs easily for travel and works as advertised! 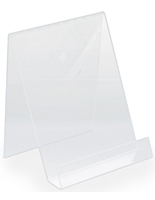 Great solution for table top displays at trade shows! Thank you for the great review, Steven! We'd love to see these in use if you want to share a picture if your trade show setup. We hope we have the opportunity to work with you again soon. Great service, shipped in a save box with. Love it. Oh, and a great price !!! !